Soil temps staying in the 40s for 4 days in a row. 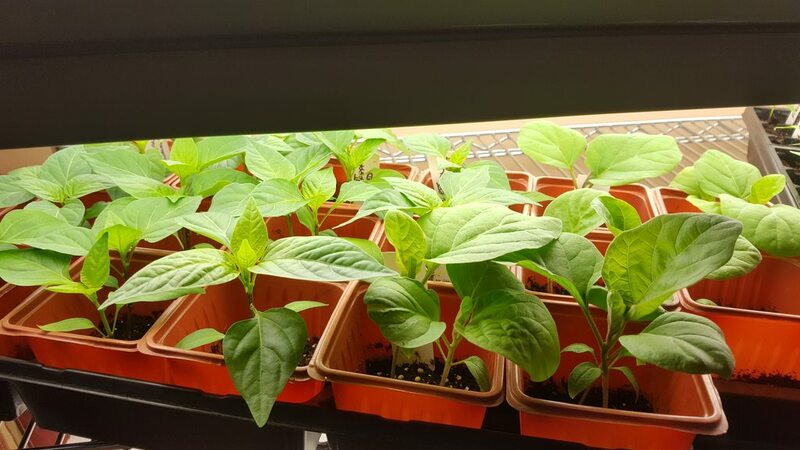 Slowly warming up now but I still got 6 weeks until I can safely put them outside. 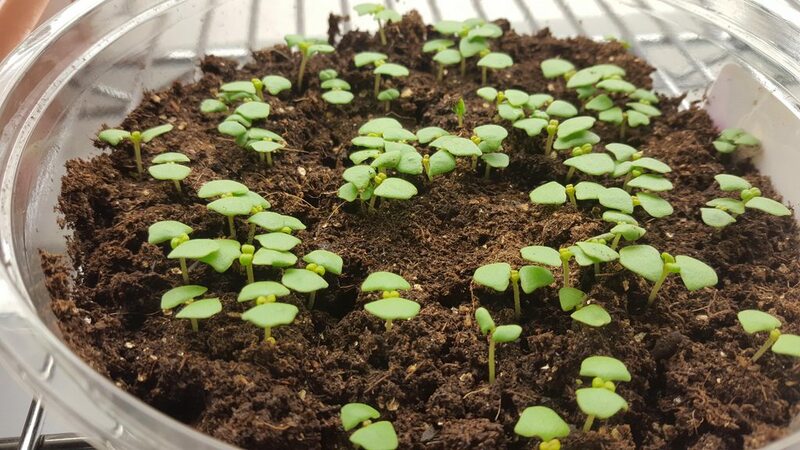 Seedlings looking awesome. Growing fast! 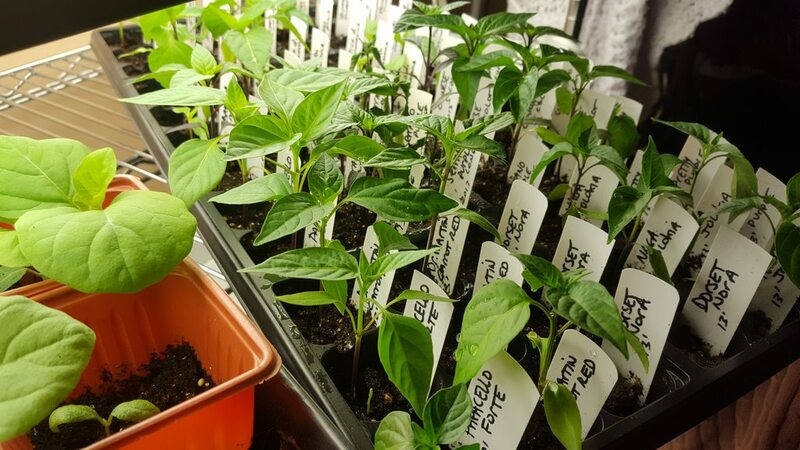 oh wow cam those are awesome and we have put seeds in the ground already . 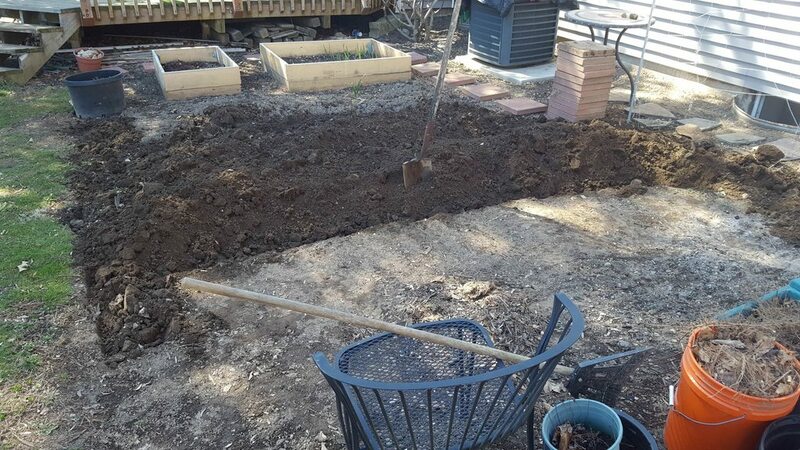 finished off my cucumbers in the ground along with the rest of the squash and finished putting flower seeds in the ground we are already in the high 80s . I know , I know . but it all looks great cam . Thanks! Wow 80s! I'm in no rush for that though. lol. Enjoy the cukes! 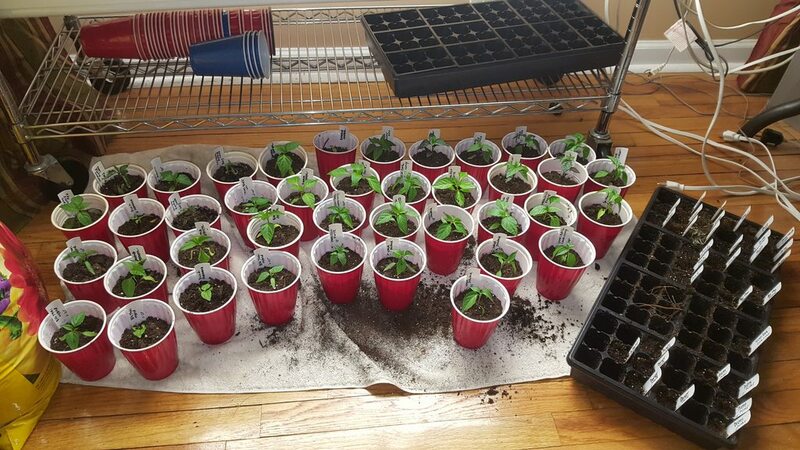 Guess what I did right after that post this morning... Will post in a bit..
Transplanted all my hot peppers into the cups. Now they sit in there until mid May. Closeup of the root system. They could of stayed another week in the cells. 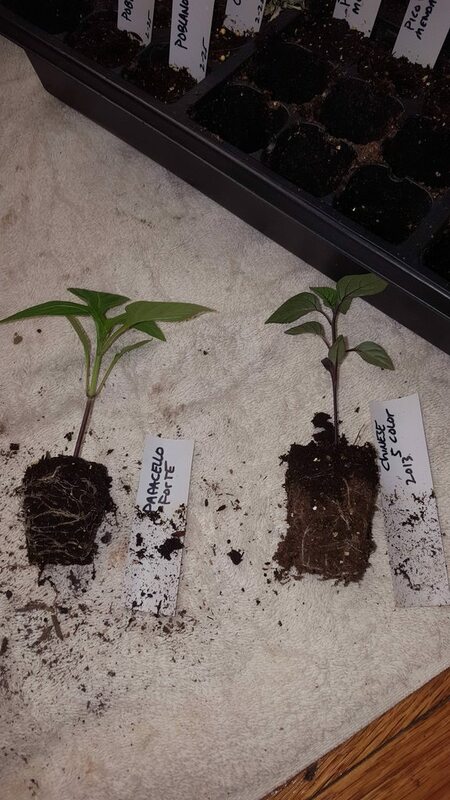 Note how each different pepper will have different root system. 2 other ones. Definitely could of spent more time in the trays. I hope I didn't jump the gun too early. 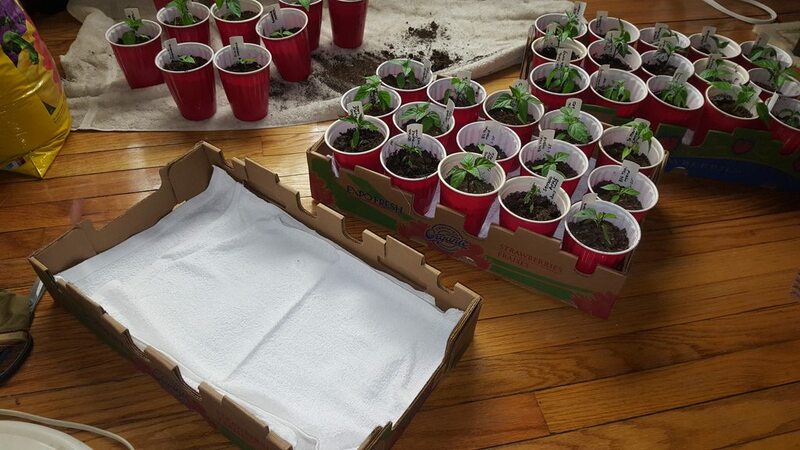 I simply put a small towel at the bottom and put them in the box and under the grow lights again. Towel obviously is because there are drainage slits on the bottom of the cups so the excess water doesn't drip onto the cardboard. 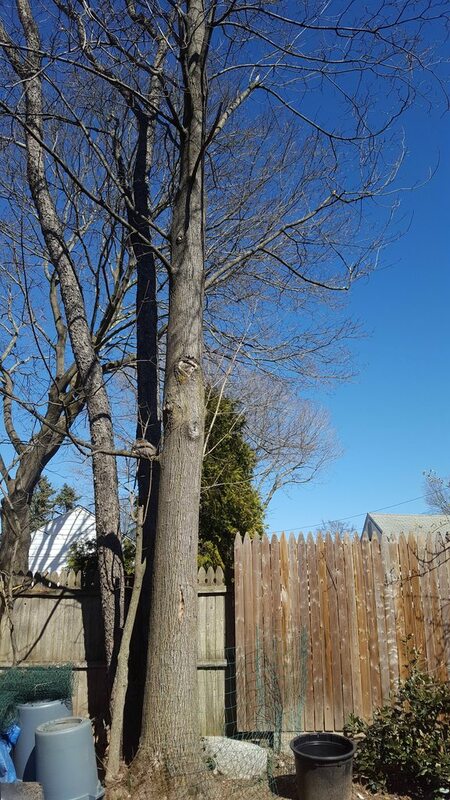 Then...aside from raking the yard guess what I did on this Beautiful blue sky sunny warm 58°F day!? While I was tilling look who was behind me. See it? He/She was actually chilling out and napping. What a great gardening journal! One of my neighbors uses peppers to make hot pepper jelly. It’s very tasty on cream cheese and crackers. Can’t wait to read more! Well, there goes that... The only shoveling I'll do today is for the snow. 6 inches of new snow. Almost 4 feet for the season now. 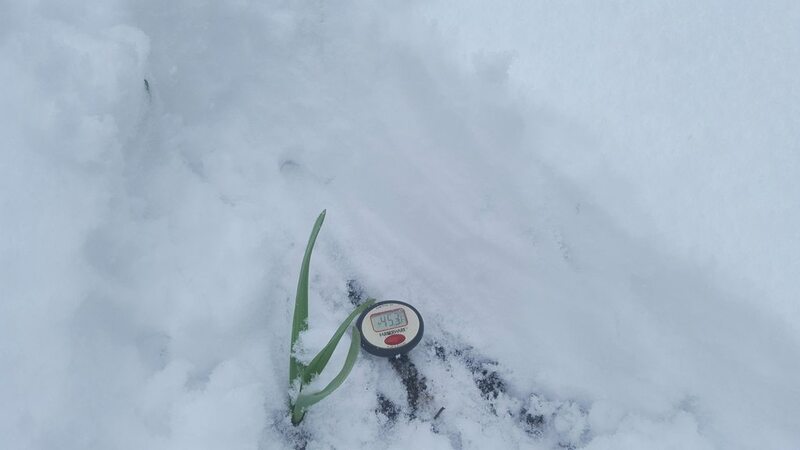 Yesterday April 1st I added Lime to the grass which was greening up....Today? The front is just exiting my area as I type. 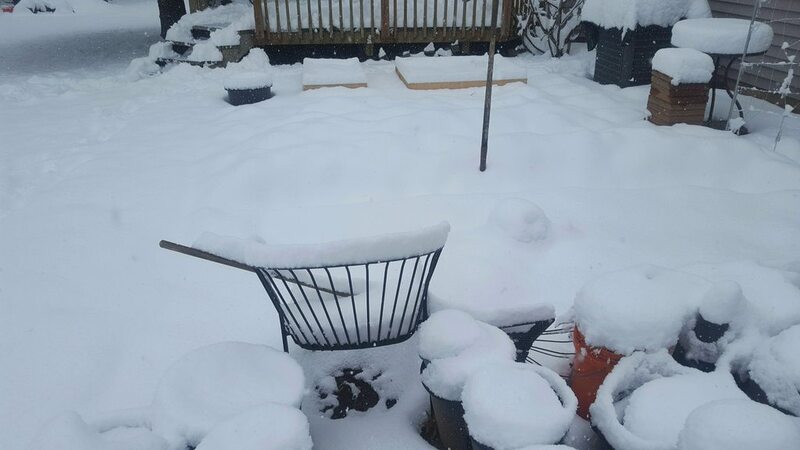 Looks like six inches for us also. Okay, I've had enough! 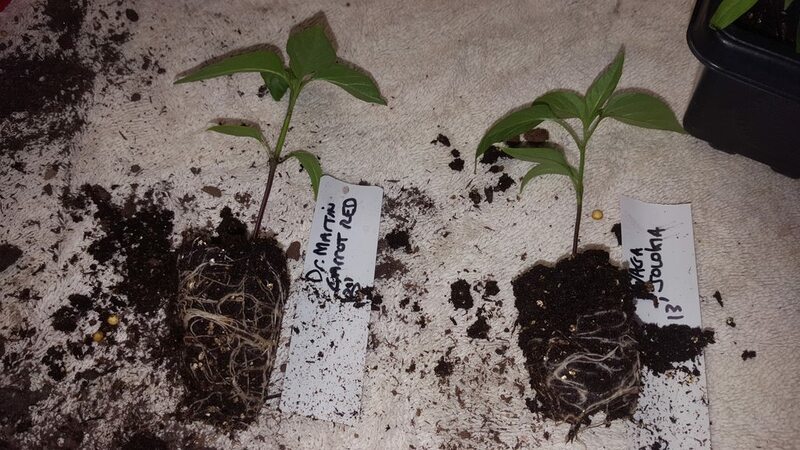 Wow...Cambium, seedling look great. As does your set-up. Now pleeeeeez MAKE IT STOP SNOWING. 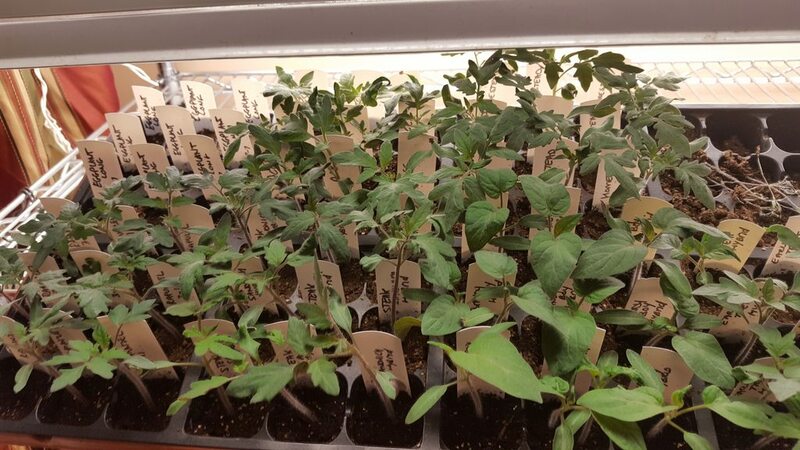 Wow, Cam, your seedlings are gorgeous. Glad you were able to get some tilling in before another round of snow! We have had odd weather lately, but nothing totally unusual. Today is in the 70s, 50s tomorrow and 60s for the better part of the rest of the week into the weekend. Next weekend I plan to get the strawberries going and clean out the ground cherry patch from last season - it's a mess. Otherwise, just waiting for consistent warmer weather! !